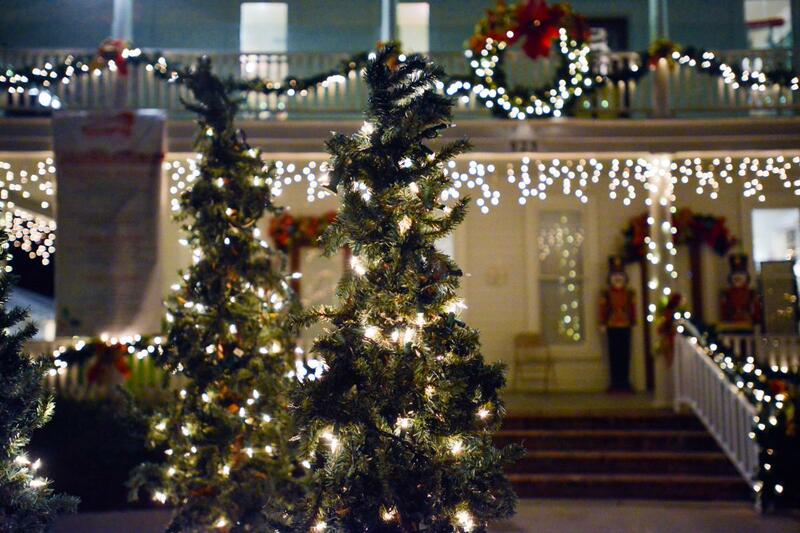 I love Christmas, and one of my favorite Christmas traditions is heading out to the Christmas Under the Oaks festival. This year, it’s Nov. 30 – Dec. 1, with a Holiday House preview party on Nov. 29. 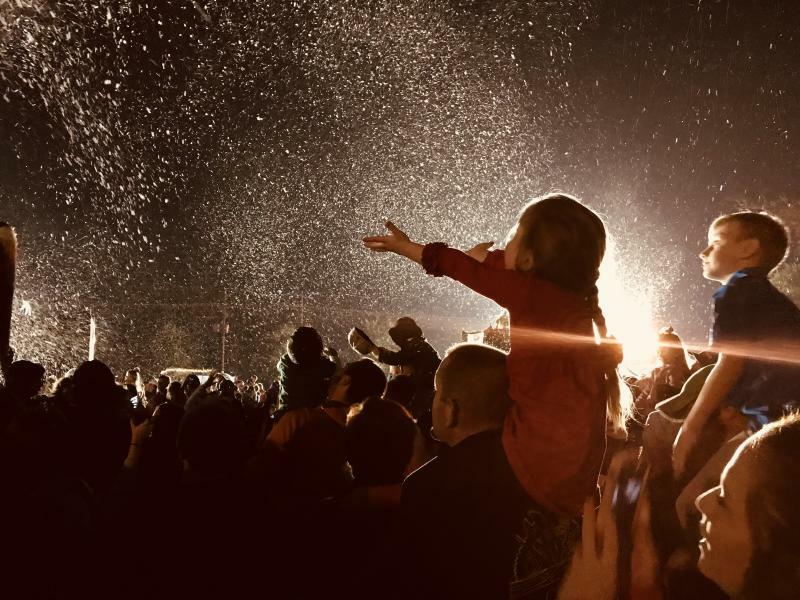 At the festival, you can truly sense the spirit of the season with the decorations and lights, music, candy canes, hot chocolate and seeing the wide-eyed wonder from the kids and the crinkly-eyed smiles from the young at heart. I adore it. It’s also one of the only places in Louisiana where it “snows” every year too. Bonus! 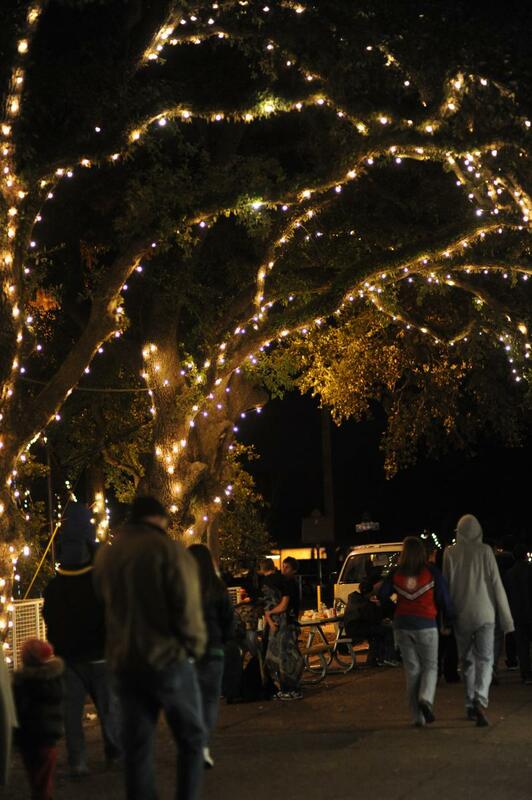 Walking up to the festival, located at the Brimstone Museum Complex, I am always mesmerized by the holiday lights making the Henning Cultural Center glow against the sleepy oak trees, wrapped in sparkling lights. Also, colorful carnival rides and a decorated pavilion with music and activities pack the grounds along with the Brimstone Museum and Sulphur Mines Home, filled with period furniture – just like stepping back in time. 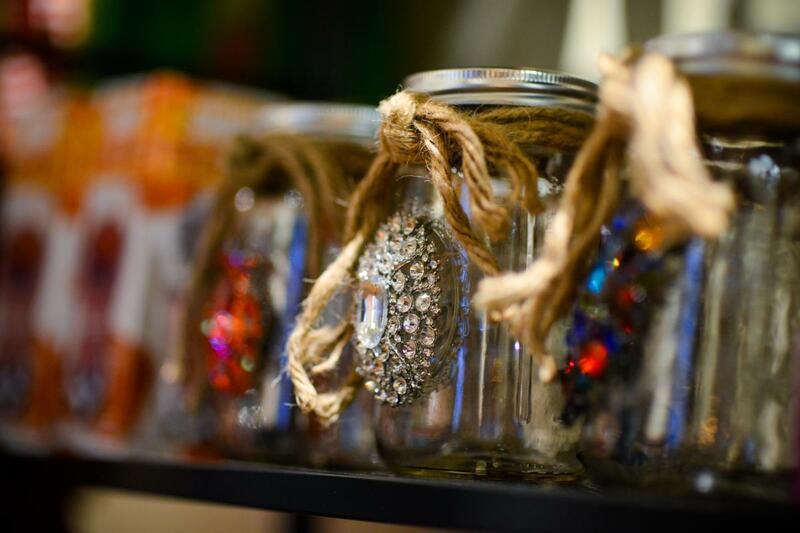 The Holiday House, located inside the Henning Cultural Center, is completely delightful with the dual porch balcony decorated with garland, and inside, local vendors, jewelry makers, and artisans have their best Christmas gifts on display. The Holiday House has expanded over the years, and there are now several heated tents and annex buildings packed with goodies and exceptional gift items. One of the staples for me is the “toffee lady.” That is not her official title, but yeah, the toffee is out of this world, and also, Food Network Star Jay Ducote is on hand with his famous barbecue products – oh – and samples, of course! Yum. There is a tea room with gumbo and hot chocolate, so it’s “a must” each year to grab a bowl of gumbo. Last year, the kids were pumped up to get candy cane spoons that were edible. It was quite the surprise for the spoon to dissolve slowly into the hot chocolate, giving the right touch of peppermint flavor to the wintery drink. You never know when little touches of enchantment show up! 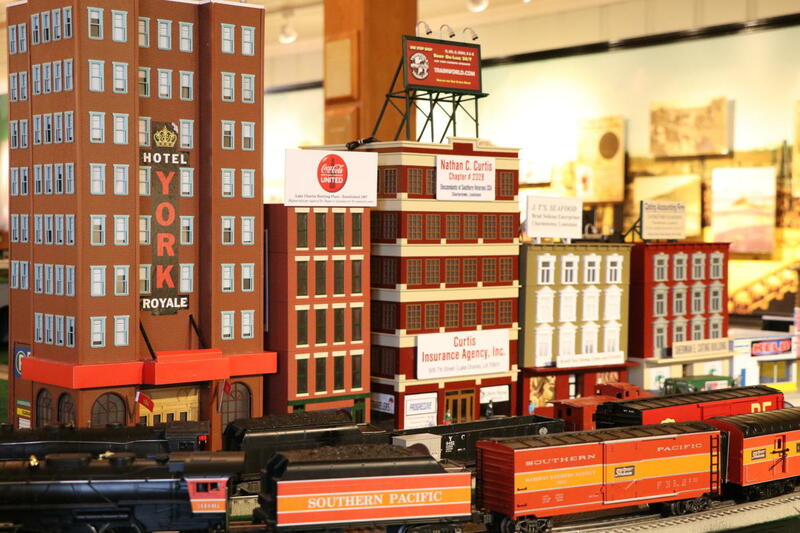 Located inside the Brimstone Museum depot is an expansive model train exhibit. The attention to detail with miniature buildings, people cars, trains and signs – just wow. You have to see it for yourself. One of the kids grabbed my cell phone to film the train. In addition to pulled pork sandwiches, pizza or delicious food along the grounds, you can also get cotton candy or funnel cakes because can you really have a festival without funnel cakes? So, we got a couple to split them. 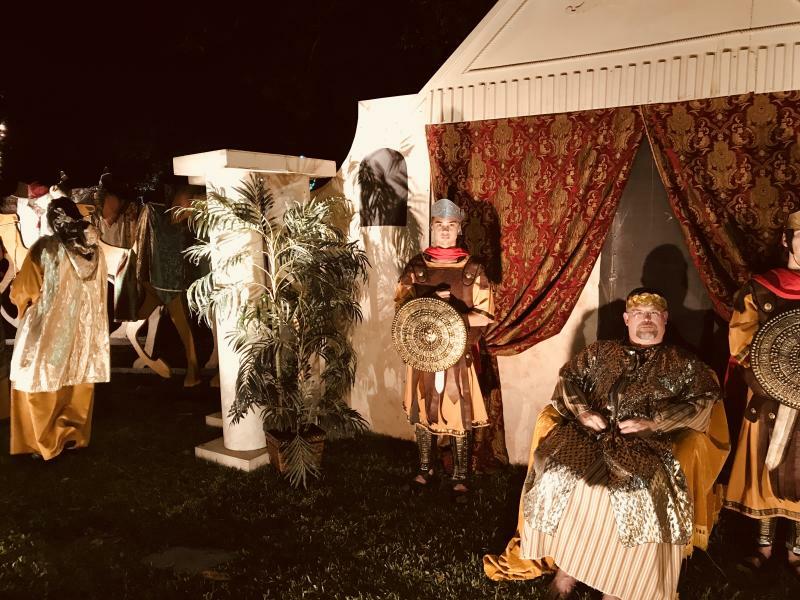 After dusting the powdered sugar off our coats, we decided to take a stroll, and much to our surprise, there was an entire live nativity set up, basically a town from biblical days, including live animals! We meandered through the “town” from scene to scene. We found the nativity in The Grove Park located next to Pecan Street which is one of the best places to see Christmas lights in Sulphur. Then, we decided to check out what was happening at the bandstand. Oh, snow! Once the “snow” started to fall, the thought came to me that Christmas Under the Oaks is one of the places that truly shines with the Christmas spirit. Watching all the kids (and adults) with their arms raised toward the stars was truly inspiring. Events like this nudge people into a better place, laying the groundwork for a Merry Christmas and a Happy New Year! Check out the full schedule of events including bands, activities and hours.